WHY CHOOSE NEW IN 90? Is YOUR sugar intake too high? 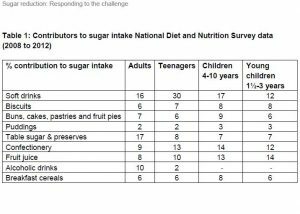 It’s clear we all have too much sugar in our diet and this has been shown to contribute largely to over 60% of the UK adult population being either overweight or obese. Public Health England’s best estimates show that the average adult in this country consumes approximately 300 calories a day more than they need. That’s about 110,000 calories per year or the equivalent of 202 Big Macs, 438 Marathon bars or 645 cans of cola. No problem if you spent the last 16 days of the year walking solidly for 24 hours a day! Obviously, not all these extra calories come from sugar, but reducing the amount of sugar is one of the easier changes you can make to your diet – remember though, it’s not about just cutting the amount of sugar that goes inot your mouth, it’s about changing your habits surrounding sugar. Although, the current recommendation is that 10% of a person’s daily energy intake comes from sugar – that’s the equivalent of about 11 to 14 level teaspoons – research shows that the total is nearer 15%, so cut out that 5% and you’ll be well on your way to reducing your daily calorie intake. If you take added sugar in drinks, then stop. You’ll find your taste buds will adjust in a few weeks and you won’t miss it at all. If you can’t cut it out 100% on day 1, then reduce it gradually over a month. Just think, if you drink 4 cups of tea or coffee per day and have 2 spoons of sugar, you’ll cut out 2920 spoons! How many cans of fizzy drink do you have per day? And do you drink fruit juices? If the answers to both questions is Yes and Yes, then restrict yourself to one small can of your favourite fizzy drink and a small juice. For the rest of the time, drink water, really diluted squash or a small glass of skimmed milk. Hint: If you normally open a can of drink when you feel a bit thirsty, then have a glass of water instead. 9 times out of 10, the desire to have anything else will disappear. If you eat cereal covered in sugar for breakfast, or you add sugar, then stop. Unfortunately, even some cereals that market themselves as “healthy” contain lots of sugar, so stick to shredded whole grains, porridge or whole wheat biscuits. Again, your body will adapt to this change really quickly and after a short time, you won’t even notice the lack of sugar. Stop thinking of sweet snacks and puddings as a regular part of your diet and start thinking of them as treats only – that means having them only occasionally and reducing the amount you may have in any one go. 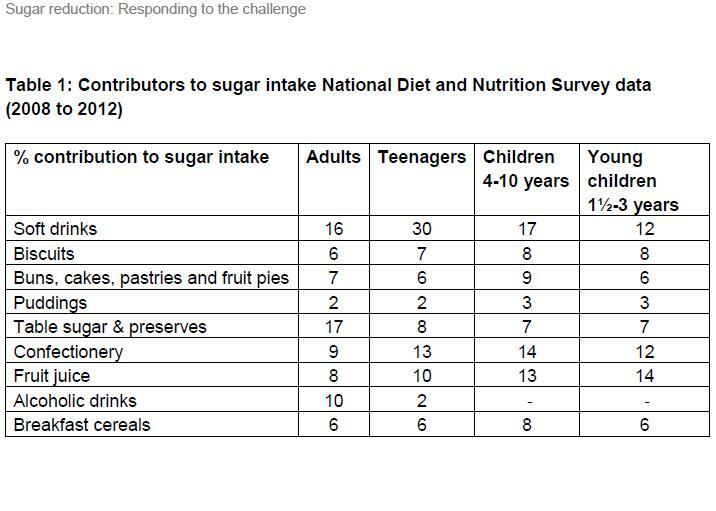 So treacle tart once every couple of weeks and a three or four small chunks of chocolate every other day. Eat low fat plain yoghurt with some fruit instead. If you drink alcohol, then reduce the amount you drink and try not to drink on more that 3 days per week. Alcohol contains a lot of sugar so it makes sense not to drink too much. Remember, don’t try and cut out all the sugar in one go. You’ll be setting yourself up for failure. Instead, take things a day at a time and aim to slowly reduce the amount you consume. That way you’ll vastly increase the chance of a long term change. New In 90 has been specially designed for people who want to lose weight and get fit FOR GOOD. It works by gradually changing your daily habits and routines so that you eat less and exercise more – leading to long term weight loss and improved fitness. Download it now from the app store and get started TODAY. Here’s how to approach the dreaded “exercise” word! Become a New IN 90 VIP! Lots of benefits to make your weight loss journey even MORE effective. Here's 4 great takeouts from the BBC's "The Truth About Obesity"
Questions, problems or comments? We'd love to hear from you!